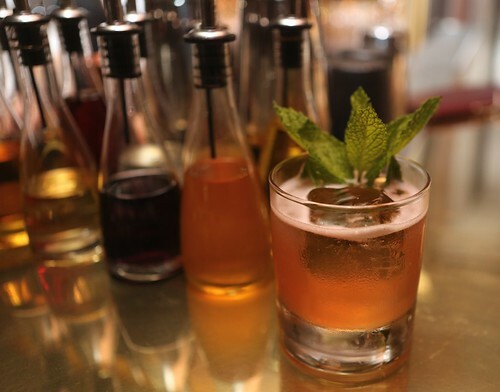 At a certain point, all cocktail bars start to look (and feel... and taste) alike. 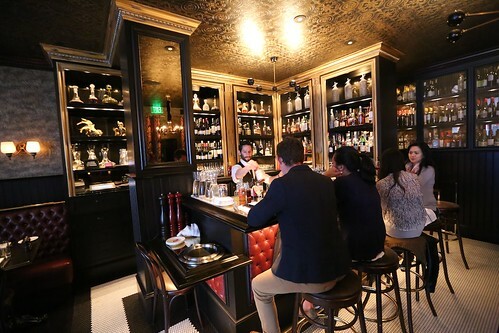 Whether you're in London, Paris, Copenhagen, or San Francisco, you can rest assured that there will be a solid array of well-executed classics and a relaxed ambiance. Sure, it's good, but routine. 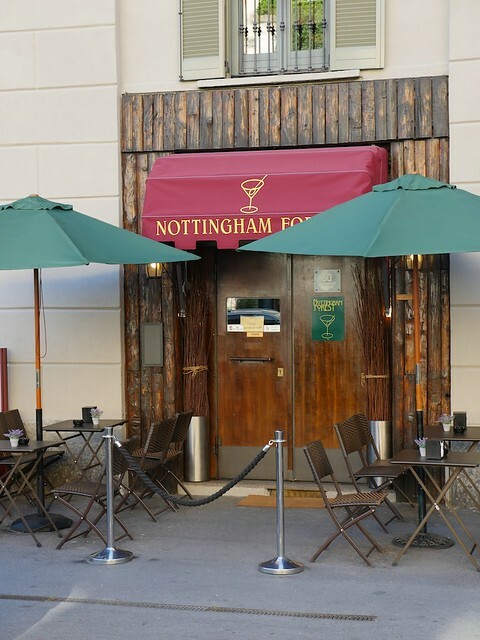 That's why I didn't expect much from Nottingham Forest, widely hailed as the best cocktail bar in Milan. That is also why I was totally unprepared for the mad molecular mixology taking place there. 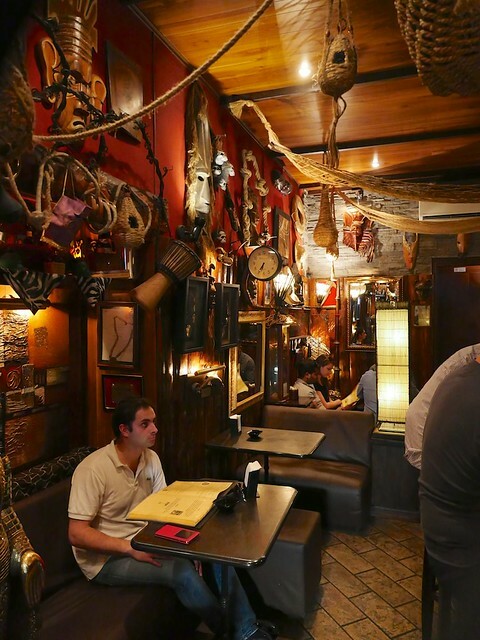 The bar describes itself as "a mercurial oasis where you can hear the echo of the world." A place where "Water can become foam, foam becomes air and air can turn into smoke." It seems dramatic until smoking drinks emerge from behind the bar. And then you notice what else is back there. There are all sorts of contraptions and gadgets. That's when you realize that Nottingham Forest is not your usual cocktail bar. Walking in, I was reminded a bit of Smuggler's Cove. Nottingham Forest took the British Empire/Robin Hood/Pirate theme very seriously. 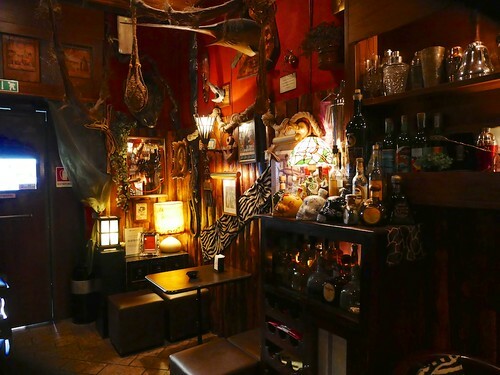 The bar is wall-to-wall rum and gin. The decor was chaotic, to put it mildly. There were imperial-themed objects packed into shelves, cases, and on every inch of wall space. 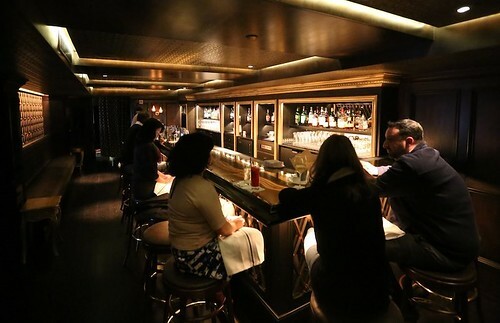 The bar allows customers to peek through a lower level of gadgets and an upper level of booze at their bartender, who is nevertheless obscured by bottles, tubes, and sometimes smoke. Seating is relaxed but hard to come by. 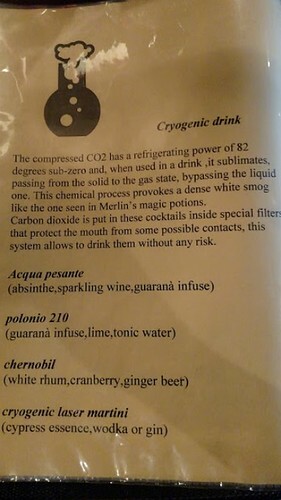 The cliental is more varied than such a bar would be stateside. An older couple arrived at the same time we did, pounded four molecular cocktails by the time we finished our first round, and rolled out. There were a few ex-pats and a good number of young and hip Milan residents making the Forest their first stop. Seriously. Candy caviar? Test tubes? And what the heck is sferification [spherification]? 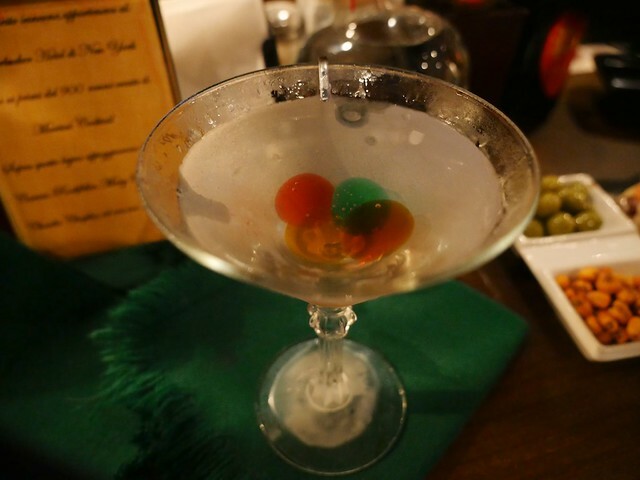 So, we picked two things that seemed the easiest to get into: a negroni-type thing and a martini-eque cocktail. 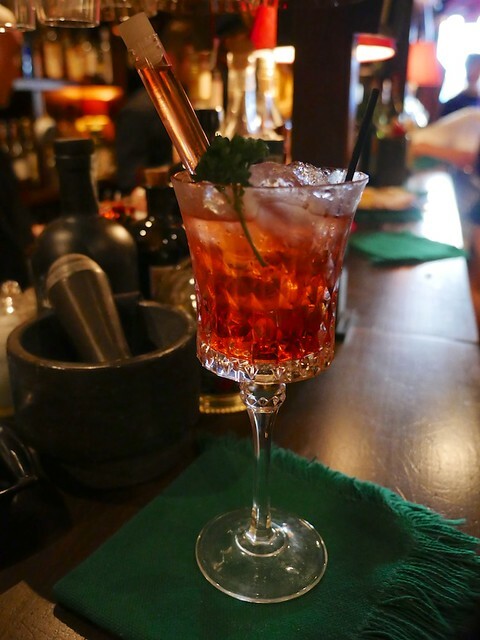 The negroni cocktail was actually two different drinks, one of which came in a test tube. The negroni was fairly straightforward, but the test tube drink was a kind of peach vodka mixture. The two could be sipped separately or mixed together. I tried both. On its own, the test tube was a bit sweet for my taste, but when it was mixed with the negroni I was impressed with how well peach mixed with the drink. The martini thing was neat in concept, but I'm sad to say the drink itself tasted like rubbing alcohol with a heavy dose of everclear. Candy caviar, as it turns out, is an almost liquid jelly, encased in a thin film. The moment you bite into the sphere, it bursts. 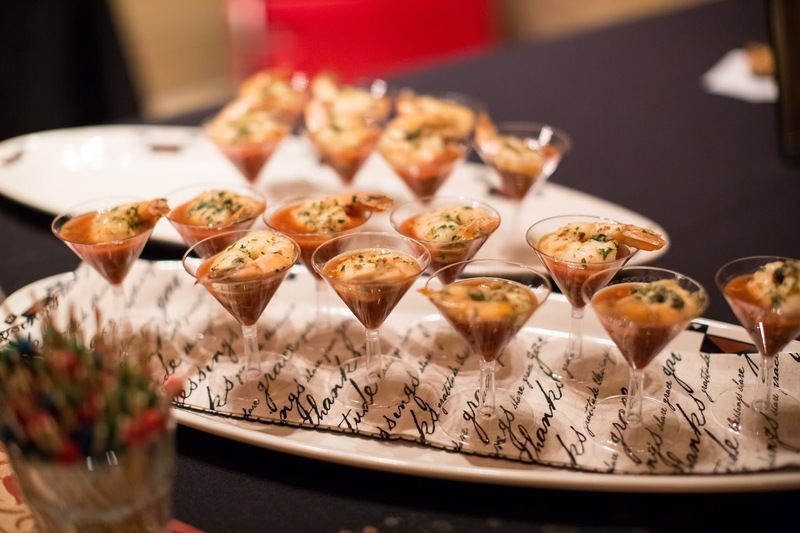 Each caviar was flavored either of anise (probably absinthe or pastis) or Campari. 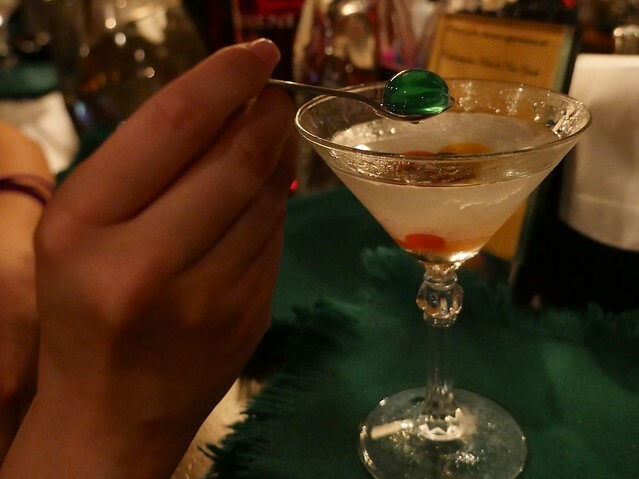 If you burst a sphere in your mouth along with some liquor, the drink was better, but still far too boozy to be enjoyable. After these lackluster drinks I was ready to leave. I'm afraid I don't have much patience. Noelle, however, wanted to give the place another shot. So we ordered another round, and this time we didn't truck with the menu. 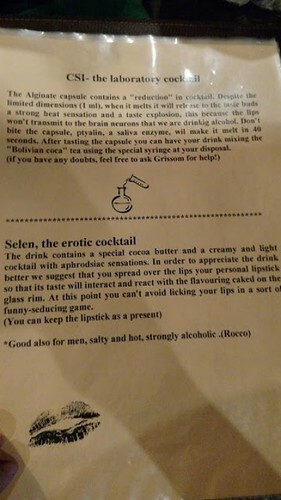 "I want something bitter," I told the bartender. Noelle ordered something smoking and light. It was a good thing we stayed. 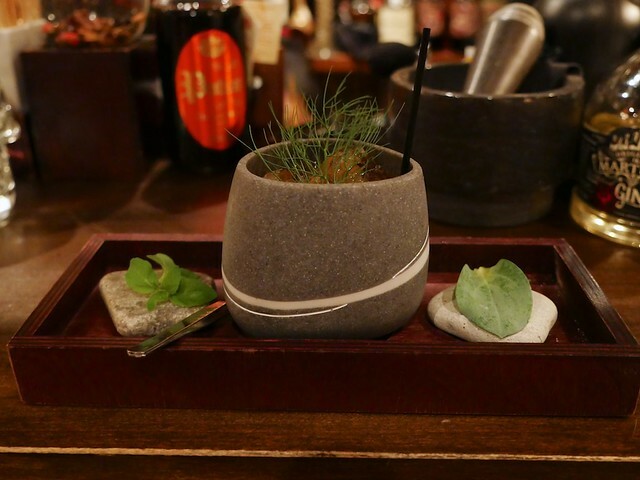 My drink, which was served in a stone cup (which I now want). It was flavored with rhubarb, and that's wild licorice that you see on top. It was intensely bitter, just a little bit sweet and tart, and was extraordinarily refreshing. 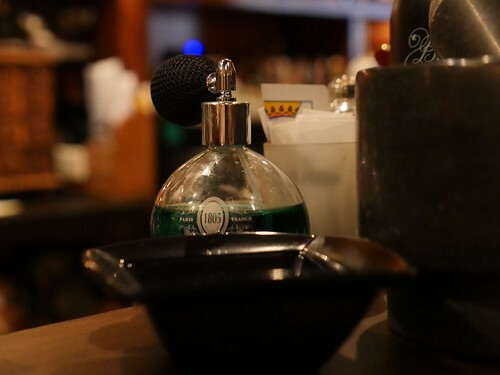 It was served with two types of mint: banana mint and oyster mint. Each of them taste like their namesakes, which is a bit off-putting at first. But they really do enhance the drink. 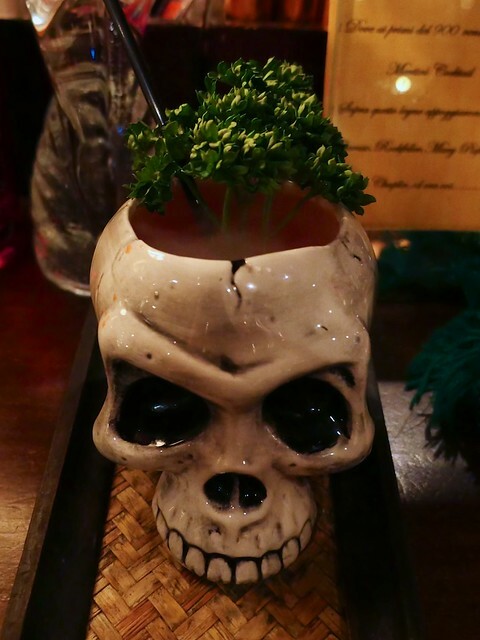 Noelle's drink, in that dope skull cup, was a wine-based cocktail chilled with dry ice. Don't worry, the dry ice is kept in a little cage so no one loses a stomach. The drink was dry as all get out, herbal (especially because that massive parsley garnish), and ice cold for the full half-hour it took Noelle to finish. 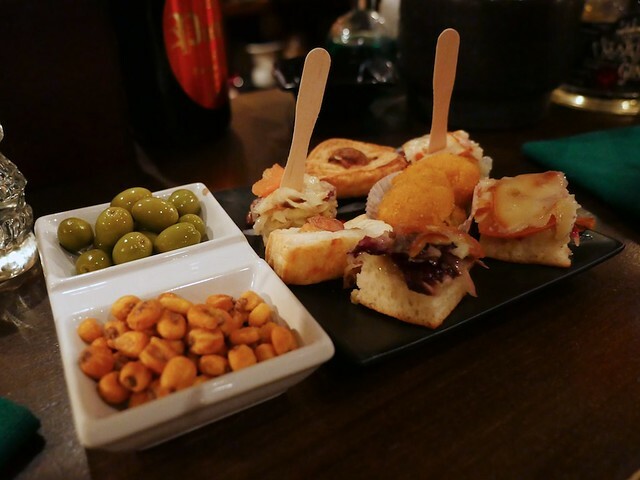 A huge perk of drinking in Italy is that all cocktail orders come with food. Free (are you listening, American bars? Now that's a heck of an idea!). Nottingham Forest's food was probably the best bar food we had. I guess it's just a variety of focaccia, but it was better than the chips most place serve! No reservations, no proper line. Get there early and jockey for position. Drinks are about 8 euro a pop. It's that wonderful time of the year. 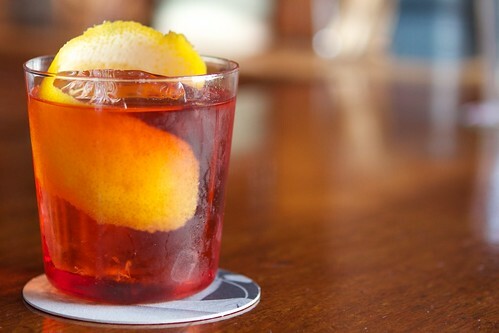 Starting today, bars across the country put out their best negroni to support a good cause of their choice. 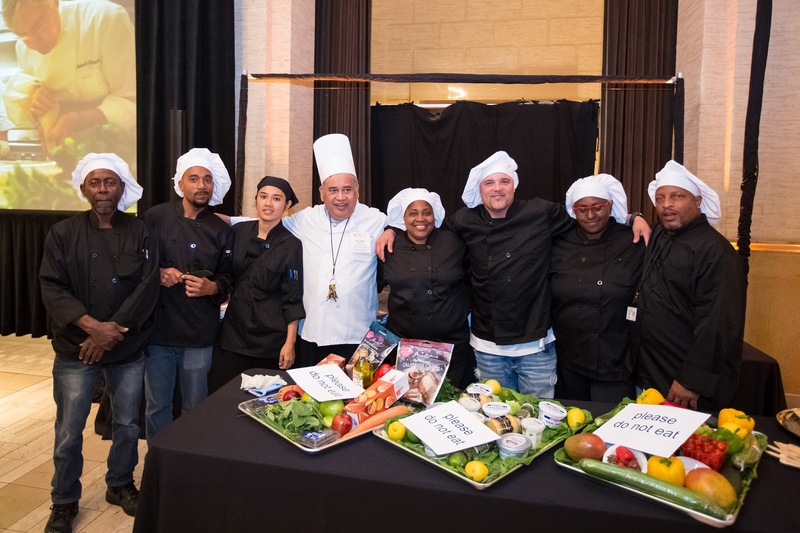 Negroni Week first started in San Francisco two years ago, and now Austin, Chicago, New York are just a few of the other cities participating this year. 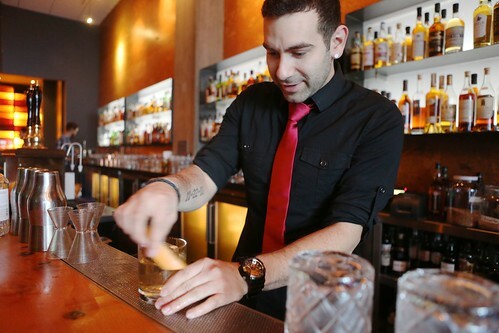 Each bar spotlights their own take on a negroni and a portion of the proceeds go to a charity of the bar's choice. 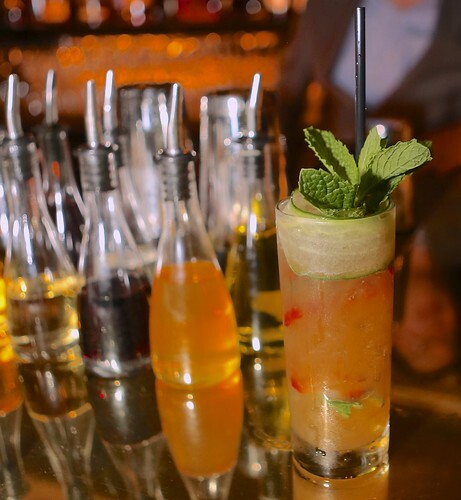 Last year more than 1,300 bars globally raised more than $120,000 for good causes. 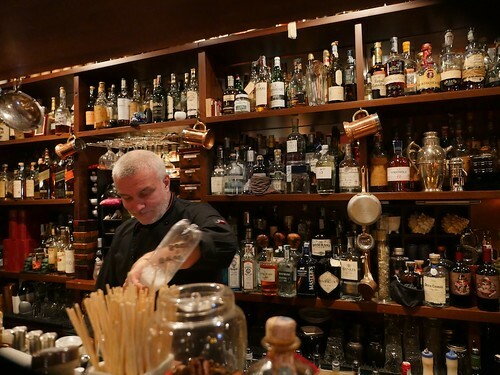 This year there are over 3,500 bars taking part globally. 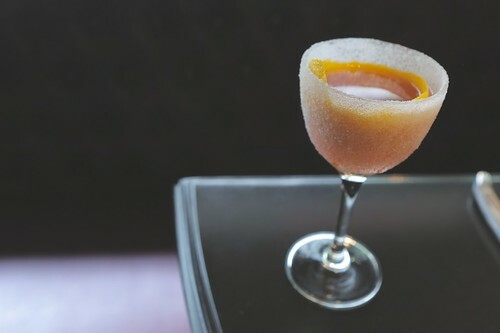 Negronis are one of the most classic drinks, traditionally made from just three ingredients: gin, Campari, and vermouth plus an orange garnish. 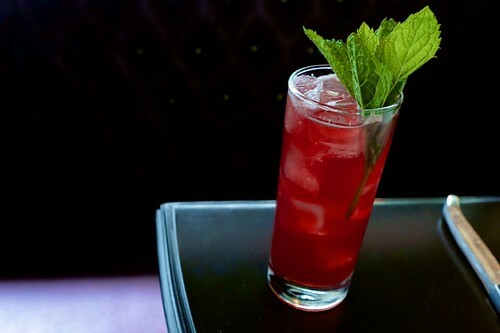 Learn more about which bars are participating this year on the Negroni Week website. 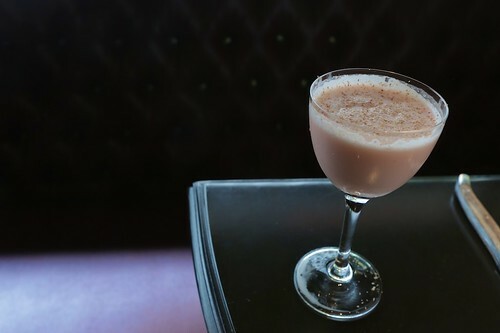 Here are just a few of the drinks being offered in San Francisco this year. We'll update this list as we learn about more. The Drink: The Downstroke - 2oz St George Botanivore, .75oz Campari, .75oz Carpano Bianco, dash Regans Orange, dash angostura. 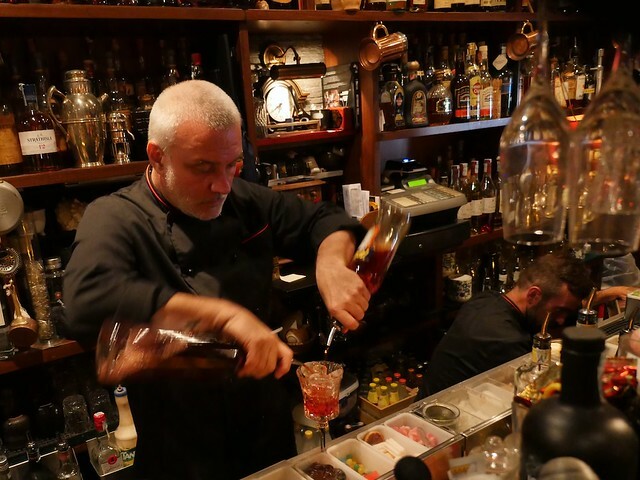 The negroni is stirred and served up and garnished a flamed orange peel.